The beautiful city of Bordeaux within reach of the campsite. 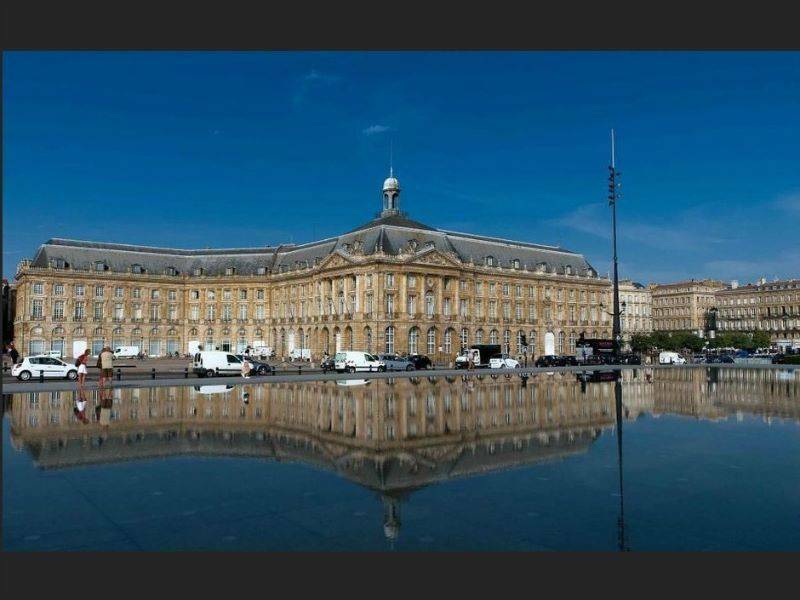 Less than an hour from your campsite pitch or your rented mobile-home is the famous city of Bordeaux, the 5th biggest city in France. This large city of tourism and universities is famous as the world's wine capital. Wine lovers will be delighted to follow a circuit through the Bordeaux vineyards. Bordeaux's large size means visitors can explore the different districts, with their wide-ranging atmospheres and histories. Gourmets will be keen to seek out the best restaurants in the city. Succulent meals are prepared every day from fresh regional produce for the pleasure of visitors. Bordeaux is one of French people's favourite cities, and you can enjoy a range of activities during your stay: shopping, cultural visits, gourmet tastings... It is easy to discover all the city's facets on foot, by bike or on public transport. 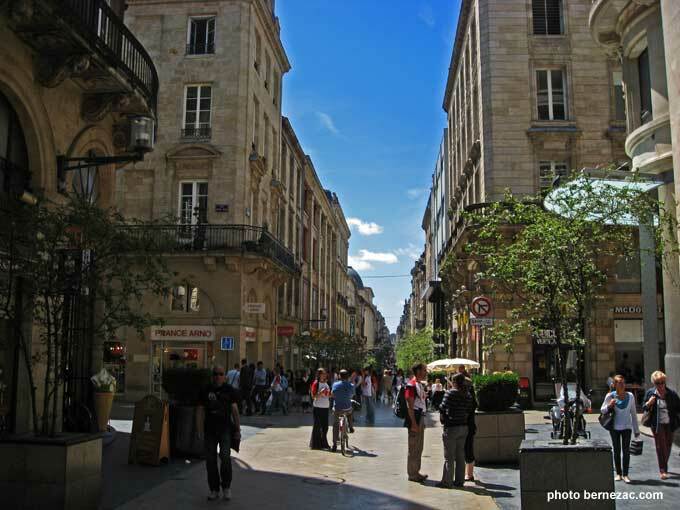 Bordeaux is a major city, and there are many places to see and visit. 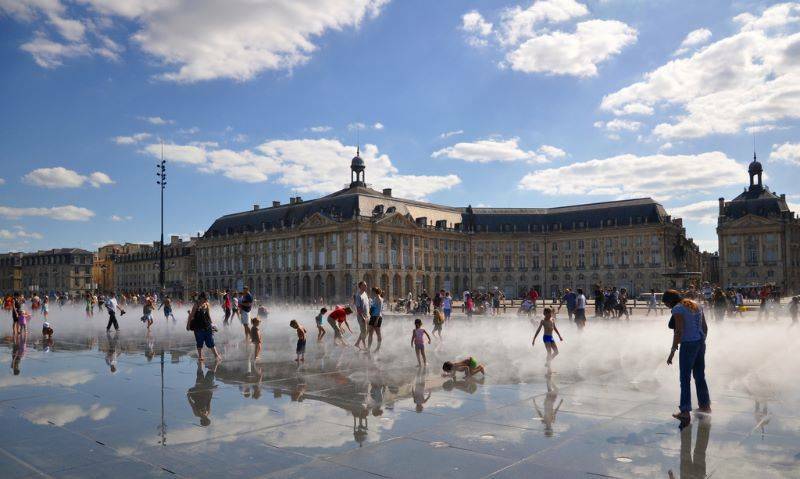 The famous Place de la Bourse with its reflecting pool of water, for example, is a great sight to see, delighting adults and children. You can admire the impressive Pey-Berland Tower, the Sainte Croix Abbey Church, the Grosse Cloche bell or the Basilica of Saint Michael. If you are interested in history, head for the archaeological site of Saint Seurin, which will take you back in time to the beginnings of the city. 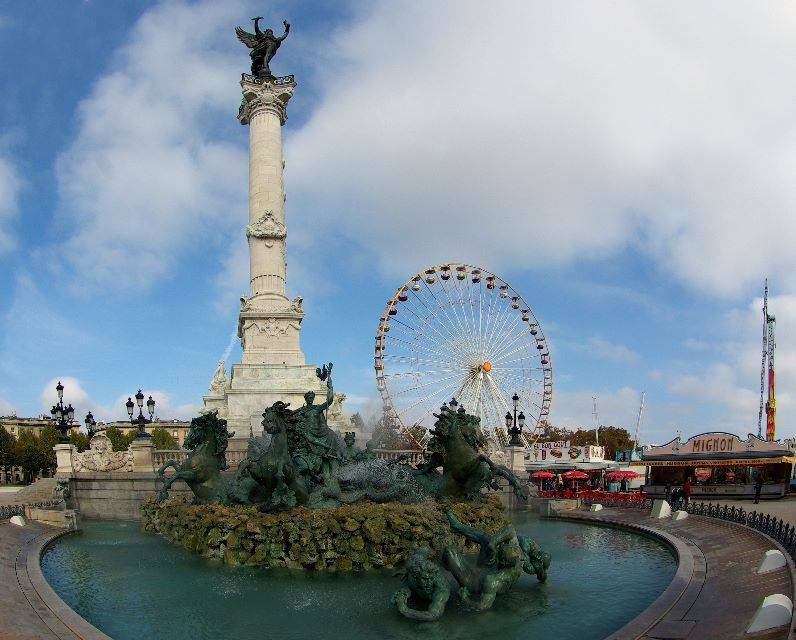 There are countless historic sites to discover in Bordeaux! Le miroir d'eau de Bordeaux proche du camping en Gironde. La rue Sainte-Catherine, piétonne elle est la principale rue commerçante de Bordeaux. 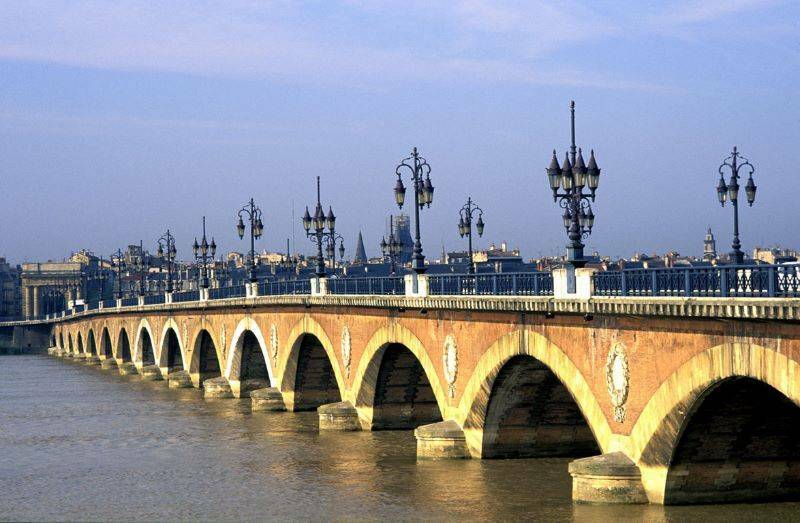 Le pont de Pierre de Bordeaux est le premier pont de Bordeaux qui a permis de traverser la Garonne. Campsite France Arcachon basin : Foire de Quiconces, Bordeaux. Place des Quinconces et foire à Bordeaux pour une excursion depuis le bassin d'Arcachon.